Whether you're new to inbound marketing or just looking to polish up your skills, The Ultimate Glossary of Inbound Marketing Terms is a valuable guide to help you maximize your investment in inbound. 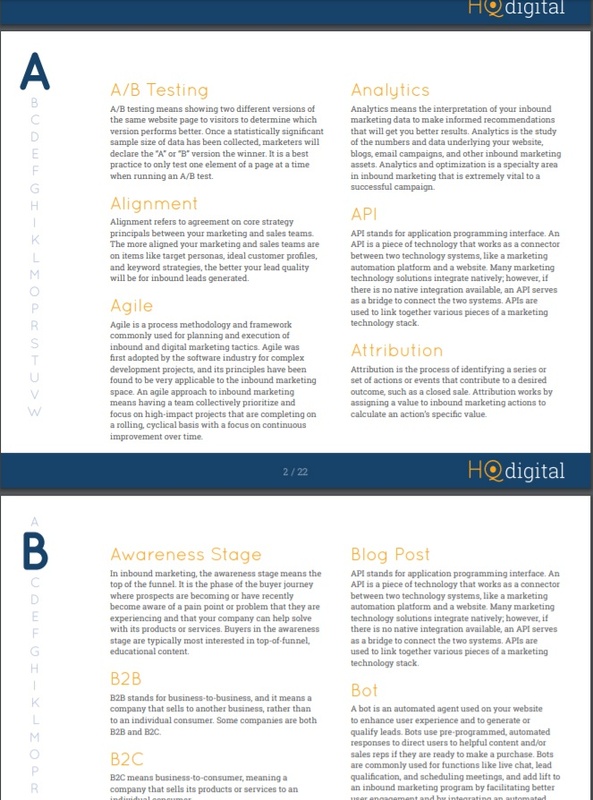 This 22-page glossary provides straightforward, practical, and informative definitions for the most commonly used and applied terms in inbound marketing. Complete the form to download your free copy now.